Ambassador Vinai Thummalapally is the Director of SelectUSA. 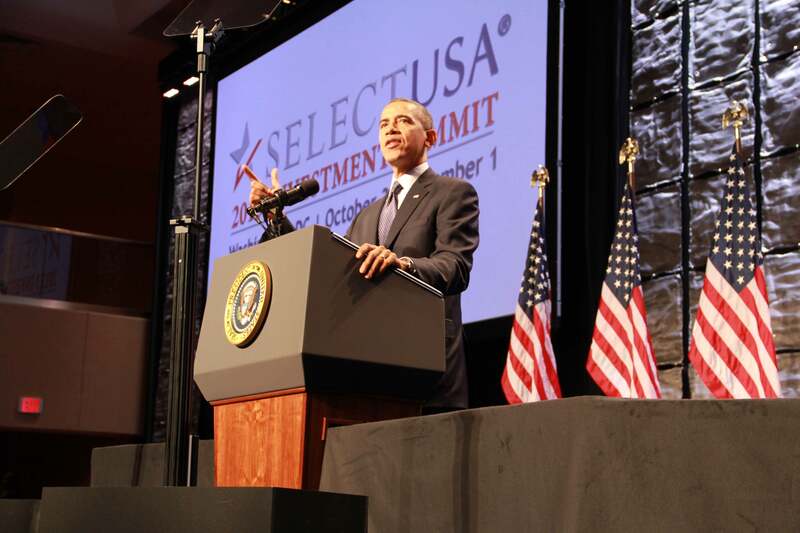 President Barack Obama delivered keynote remarks at the SelectUSA 2013 Investment Summit. · Local and state governments want to work with you. Walmart can’t provide low prices to consumers without getting quality products at a low cost. So the SelectUSA Summit was the perfect platform for Bill Simon, President and CEO of Walmart U.S., to announce the company’s initiative to buy more products from American manufacturers. “Today’s announcement… highlights opportunities that exist for manufacturers to invest in the USA by re-shoring or expanding their manufacturing in America,” Simon said at the Summit. I encourage you to keep up with and contribute to the conversation on Twitter throughout the Summit using #SelectUSA. The entire event is also being webcast here: http://new.livestream.com/accounts/4828334/selectUSA2013. I encourage you to watch, no matter where you are in the world, so you can take advantage of the experts explaining why the United States is the best possible investment destination for your business.